Finally used the other Tweet Friends from My Favourite Things stamps with dies and why have one birdie when you can have two. Before I forget the musical notes were stamps with the stamp set. I cut the hearts out of a sheet from My Favourite Things Sweet Stack using Simon says Stamp Sentiment Labels, love that they graduate without having to think about it. 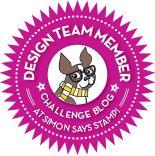 Once the strips were stuck down I then used the Simon says Stamp Wonky Rectangle to stop it looking a bit too plain and the tiny sentiment was again using the Tiny Words. The heating is back on and hopefully I will get in my craft room and make some actual cards, I've been hiding in the living room with the fire on. I know its not really that cold but I'm the one who gets cold in hot weather. 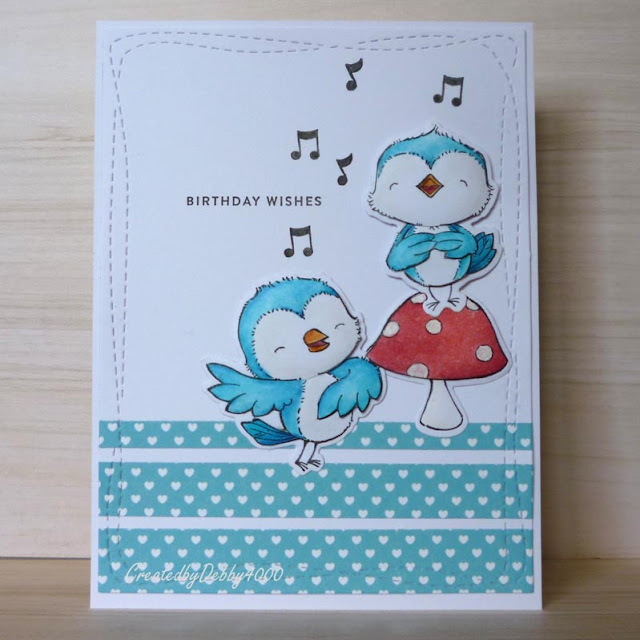 Hi Debby, what a wonderful card, adorable birdie images and fabulous design. Love everything about this cute and beautiful card. Lovely card Debbie, your birdies are so sweet! Oh how adorable, Debby! Just love this card! Cute! Cute! Cute! I love your happy card.